From our Kiwi sailing team to another, all the best to both teams in Bermuda racing the America's Cup starting this weekend. Let's hope for safe sailing, exciting racing and a showcase of technology. 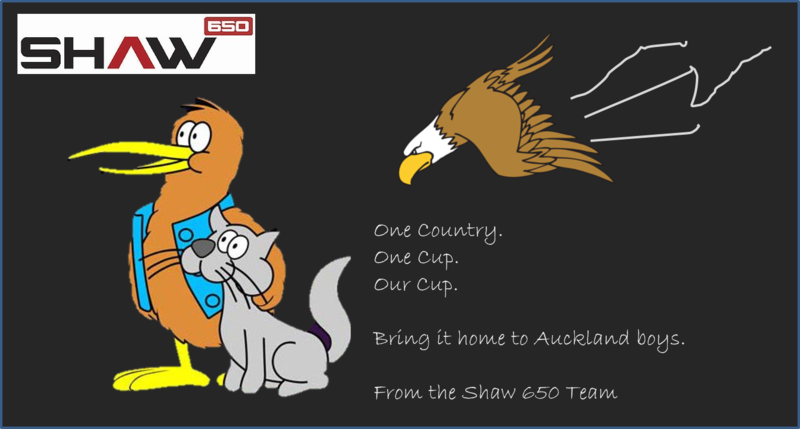 Oh....and bringing the America's Cup back to Auckland New Zealand! All the best boyz.